A pebbled patio with a stylish alfresco dining, surrounded by frangipanis to serenade you, sounds like a lovely spot in a farmhouse hidden away from the main city, right? So if I told you this was the exact look and feel of Fio-Cookhouse & Bar under a metro station in one of the most crowded areas of the city, you will think I am joking. Fortunately I am not, and the new Fio Cookhouse & bar is a sanctuary right in the middle of the city with a stunning alfresco dining area which paves way for an interior that is cheerful and café-like during the day and transforms into a moody and soulful space at night. 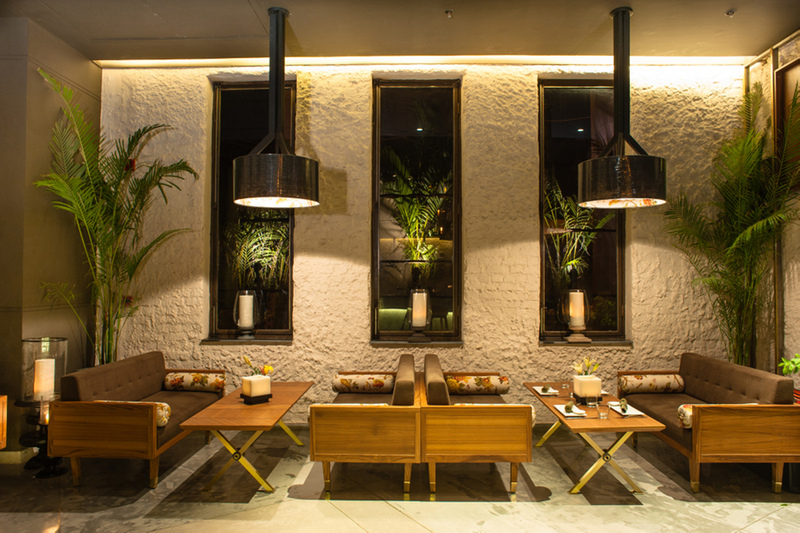 A labour of love and faith, Fio Cookhouse & Bar is a lovechild of Vineet Wadhwa. In fact Fio at Garden of 5 senses was one of the first reviews on StyleCity. Fio is like an urbane getaway that offers a sensory treat to diners. 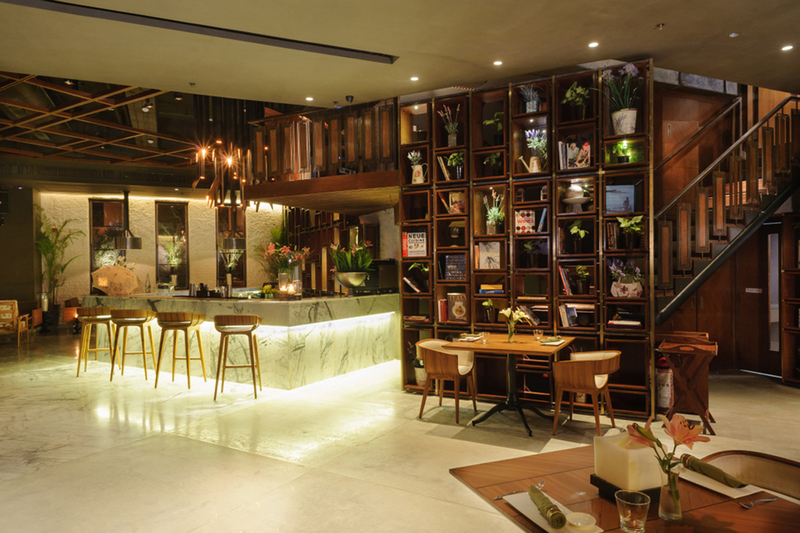 The place is seamlessly divided into two sections- a lounge and bar area that is moody, sedate and intriguing and a restaurant section that is relaxed and cheerful. Both the sections are cleverly wrapped by a wall-to-wall library that gently transforms from a liquor cabinetry to a culinary library and eventually into a food cabinetry. The cocktails I tried were extremely unique and pleasant like the Bellini Martini (yes, its a wine based Martini) and Its me at 18. While my friends Mocktails- Hot wired and Apple Jack (told you, interesting names!) were refreshing and excellent! An eclectic duet of European fare along with contemporary Indian dishes makes the menu a diverse selection of culinary delights. Cooked with the freshest ingredients and kitchen herbs, every meal is an affair to remember! Every dish we tried as per the chefs recommendation was delish! Be it the Cookhouse salad, which was really fresh or the extremely tantalizing Spitfire grilled chicken. We then moved on to the Main course which was Olive crusted Rawas for me (my sea-food obsession) and Butter beans, mushroom, spinach roesti for my friend. Not only were the dishes excellent they were very decent portions, so much so we had to skip dessert and need to go back to try them out! In terms of the food and the ambience I don’t think I have been to a nicer place recently. 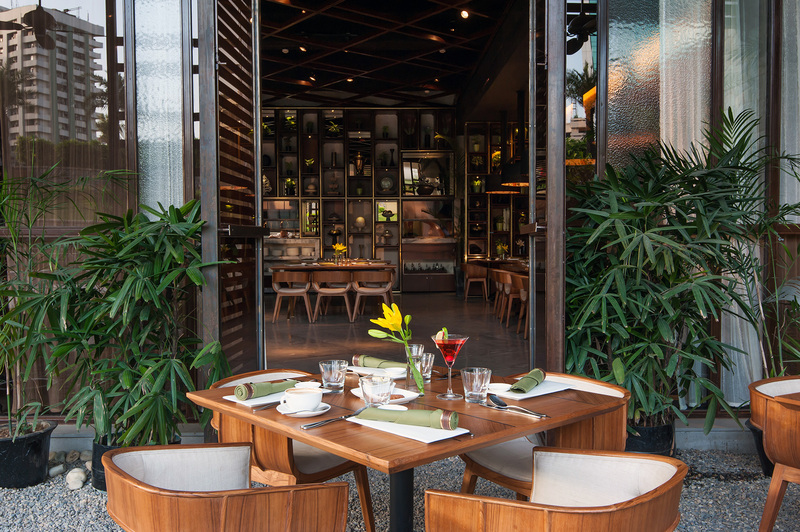 If you happen to be around Nehru Place, especially when the weather is still lovely, I would totally recommend you stop by at Fio- Cookhouse & bar, Order your favourite cuppa, sit by the large glass windows or just catch up with family and friends over a more elaborate supper, you wont be disappointed. Posted on December 13, 2013 December 13, 2013 by AparnaPosted in Decor, Food and Beverages, Lifestyle, Reviews, UncategorizedTagged decor, design, European cuisine, Fio Cookhouse & Bar, Food and Beverages, Indian cuisine, Lifestyle, Luxury, Nehru Place, review.